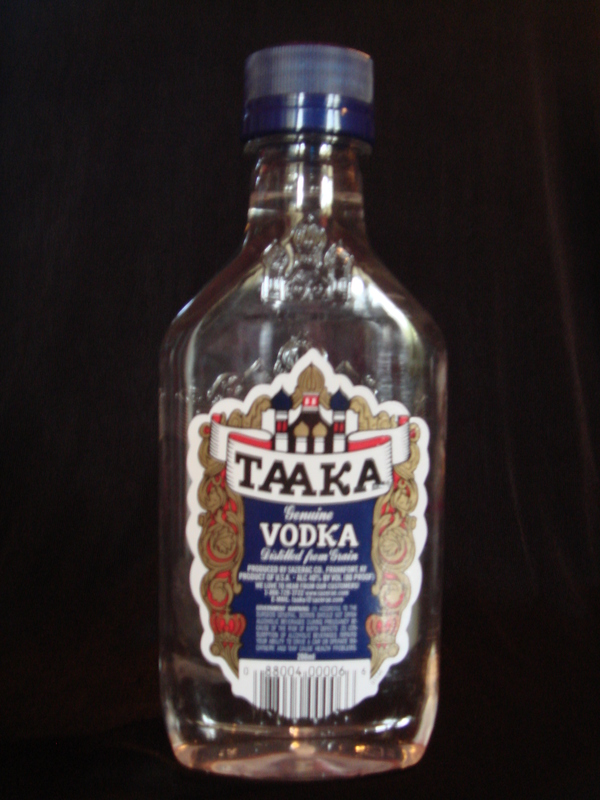 200ml bottle of Taaka Genuine Vodka located (for anti-theft purposes) behind the checkout counter at The Purity. 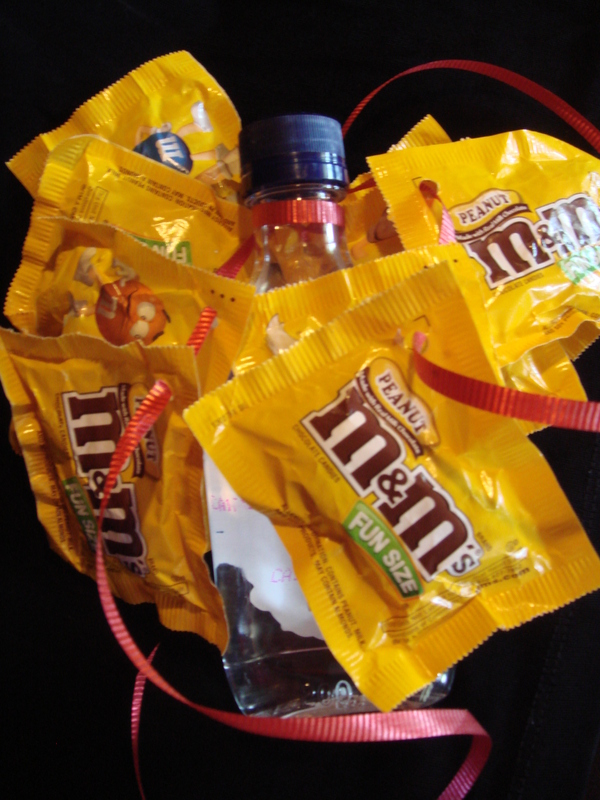 A bag of snack pack M&M’s (you can’t find these at The Purity; try Rite Aid). Thin ribbon (you should already have some). Hole punch (you should already have one). 1. 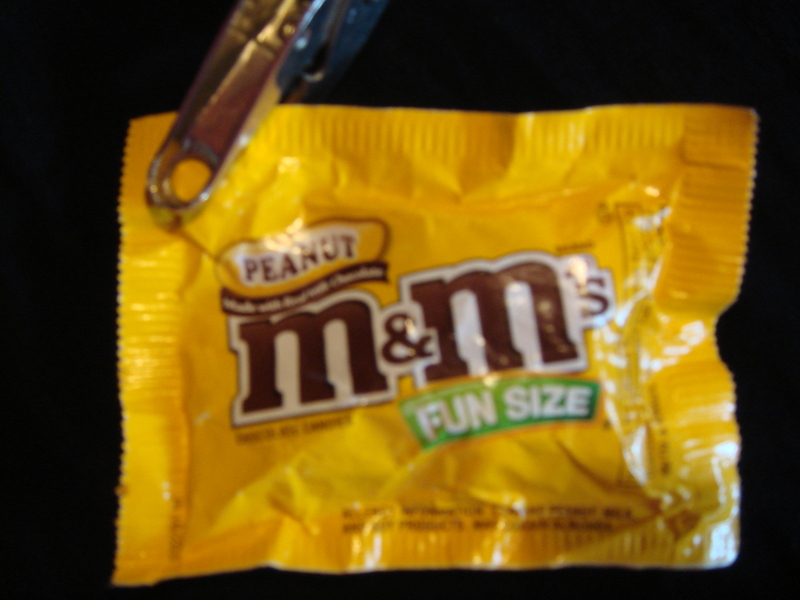 Punch a hole in the corner of each pack of M&M’s. 2. 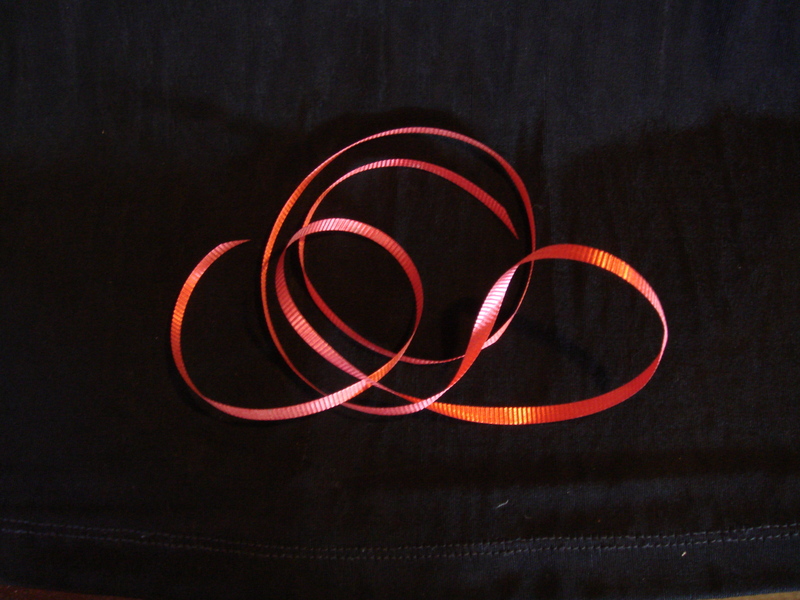 Cut a 12-inch of longer length of ribbon. 3. 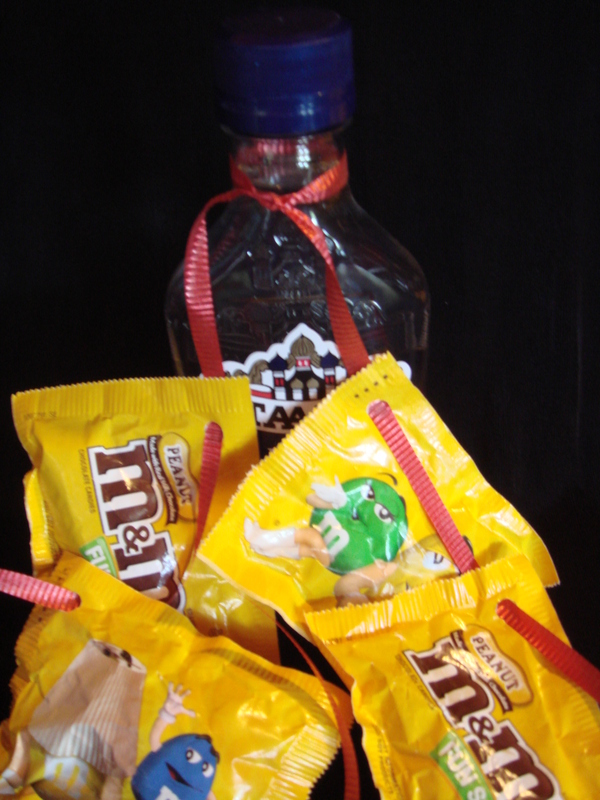 Tie the ribbon securely around the neck of the bottle. 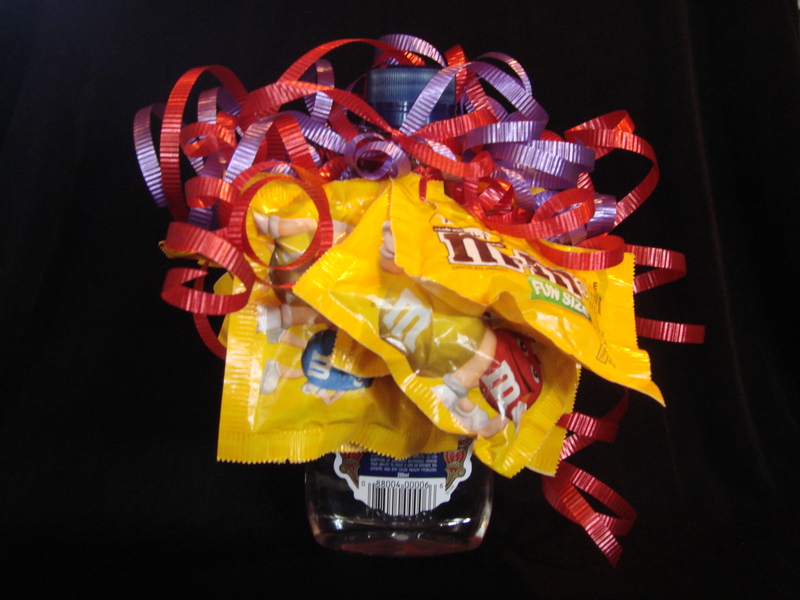 Use the ribbon to string together about four packs of M&M’s. 5. Flip the bottle over and repeat above steps on opposite side. 6. Cut long lengths of different color ribbon. Use scissors to curl each piece of ribbon. 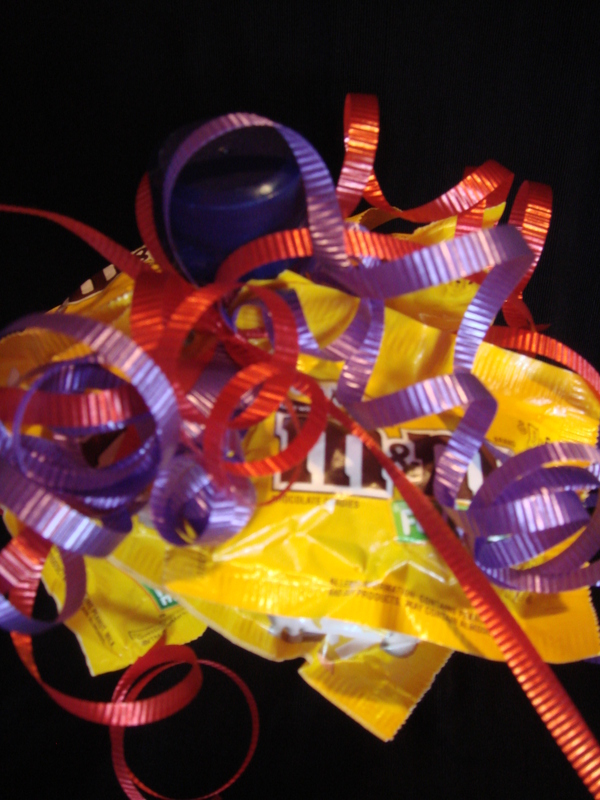 Secure the ribbon to the wreath with your original piece of ribbon. Curl that ribbon, too. 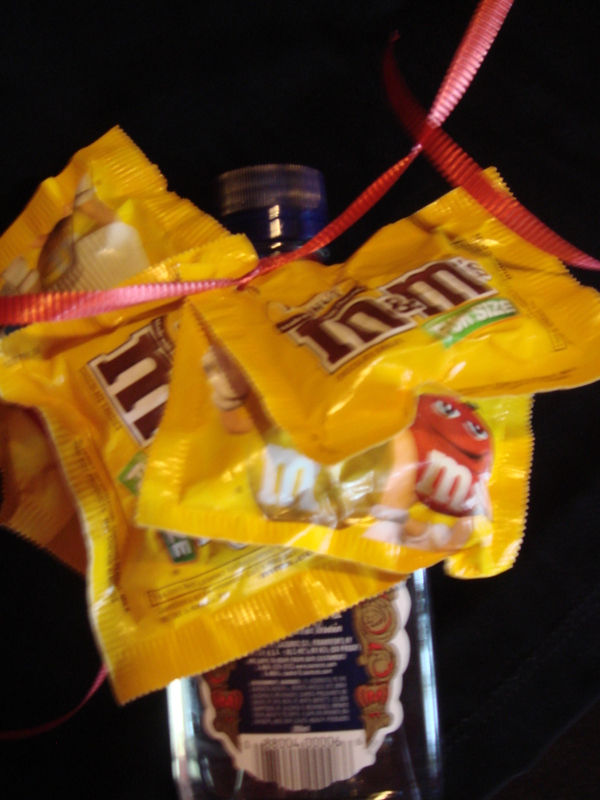 Now you need to determine who’s going to get this great gift. I gave mine to a friend after her third (and youngest) child went off to college.